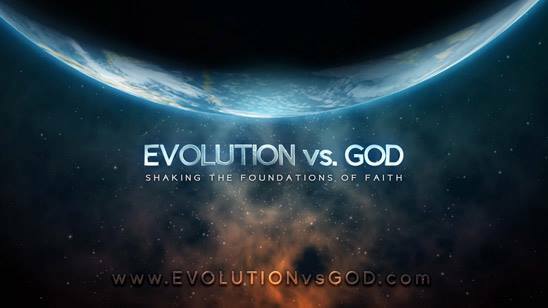 After a great deal of anticipation (and attacks, even before it was available), Ray Comfort's video "Evolution vs. God" was released on August 7, 2013. It can be purchased on DVD, or watched for free on their site, YouTube or wherever it has been embedded (such as on this page). The entire video, intro to promos, runs just over 38 minutes. Atheists are furious, attacking it with typical lack of logic. Which reminds me...some of the atheists that were interviewed were trying to appear intellectual, that they accepted evolution and rejected belief in God because of honestly exploring and evaluating the evidence. Their words indicate otherwise. Further, even biology majors at colleges could not give observed scientific evidence of evolution. But then, even experts could not give examples of actual evolution. Some people even gave outdated evolutionary propaganda (things that creationists are frequently correcting them about). Mr. Comfort asks some direct questions, and shows them why the issue of origins is important. "Evolution vs. God" is definitely worth watching and thought provoking. And sharing.